Manufactured on 180-gram, audiophile quality vinyl with replicated artwork, the 14 albums return to their original glory with details including the poster in The Beatles (The White Album), the Sgt. Pepper’s Lonely Heart Club Band’s cut-outs, and special inner bags for some of the titles. The titles include The Beatles’ 12 original UK albums, first released between 1963 and 1970, the US-originated Magical Mystery Tour, now part of the group’s core catalogue, and Past Masters, Volumes One & Two, featuring non-album A-sides and B-sides, EP tracks and rarities. Since it was recorded, The Beatles’ music has been heard on a variety of formats – from chunky reel-to-reel tapes and eight-track cartridges to invisible computer files. But there has never been a more romantic or thrilling medium for music than a long-playing twelve-inch disc. We ‘play’ records. The process of carefully slipping the disc out of the sleeve, cleaning it and lowering the stylus provides a personal involvement in the reproduction of the music. In September, 2009, The Beatles’ remastered albums on CD graced charts around the world. Seventeen million album sales within seven months was resounding evidence of the timeless relevance of their legacy. Through five decades, the music of The Beatles has captivated generation upon generation. There has always been demand for The Beatles’ albums on vinyl. 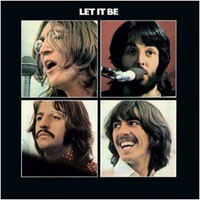 Indeed, 2011’s best-selling vinyl LP in the United States was Abbey Road. Following the success of The Beatles’ acclaimed, GRAMMY Award-winning 2009 CD remasters, it was decided that the sound experts at EMI’s Abbey Road Studios should create new versions of The Beatles’ vinyl LPs. The project demanded the same meticulous approach taken for the CD releases, and the brief was a simple one: cut the digital remasters to vinyl with an absolute minimum of compromise to the sound. However, the process involved to do that was far from simple. The first stage in transferring the sound of a master recording to vinyl is the creation of a disc to be used during vinyl manufacture. There were two options to consider. A Direct Metal Master (DMM), developed in the late seventies, allows sound to be cut directly into a stainless steel disc coated with a hard copper alloy. The older, alternative method is to cut the sound into the soft lacquer coating on a nickel disc - the first of several steps leading to the production of a stamper to press the vinyl. A ‘blind’ listening test was arranged to choose between a ‘lacquer’ or ‘copper’ cut. Using both methods, A Hard Day’s Night was pressed with ten seconds of silence at the beginning and end of each side. This allowed not only the reproduction of the music to be assessed, but also the noise made by the vinyl itself. After much discussion, two factors swung the decision towards using the lacquer process. First, it was judged to create a warmer sound than a DMM. Secondly, there was a practical advantage of having ‘blank’ discs of a consistent quality when cutting lacquers. The next step was to use the Neumann VMS80 cutting lathe at Abbey Road. Following thorough mechanical and electrical tests to ensure it was operating in peak condition, engineer Sean Magee cut the LPs in chronological release order. He used the original 24-bit remasters rather than the 16-bit versions that were required for CD production. It was also decided to use the remasters that had not undergone ‘limiting’ - a procedure to increase the sound level, which is deemed necessary for most current pop CDs. Having made initial test cuts, Magee pinpointed any sound problems that can occur during playback of vinyl records. To rectify them, changes were made to the remasters with a Digital Audio Workstation. For example, each vinyl album was listened to for any ‘sibilant episodes’ - vocal distortion that can occur on consonant sounds such as S and T. These were corrected by reducing the level in the very small portion of sound causing the undesired effect. Similarly, any likelihood of ‘inner-groove distortion’ was addressed. As the stylus approaches the centre of the record, it is liable to track the groove less accurately. This can affect the high-middle frequencies, producing a ‘mushy’ sound particularly noticeable on vocals. Using what Magee has described as ‘surgical EQ,’ problem frequencies were identified and reduced in level to compensate for this. The last phase of the vinyl mastering process began with the arrival of the first batches of test pressings made from master lacquers that had been sent to the two pressing plant factories. Stringent quality tests identified any noise or click appearing on more than one test pressing in the same place. If this happened, it was clear that the undesired sounds had been introduced either during the cutting or the pressing stage and so the test records were rejected. In the quest to achieve the highest quality possible, the Abbey Road team worked closely with the pressing factories and the manufacturers of the lacquer and cutting styli. An additional and unusual challenge was to ensure the proper playback of the sounds embedded in the ‘lock-groove’ at the end of side two of Sgt. Pepper’s Lonely Hearts Club Band. Requiring a combination of good timing and luck, it had always been a lengthy and costly process to make it work properly. In fact, it was so tricky, it had never been attempted for American pressings of the LP. Naturally, Sean Magee and the team perfected this and the garbled message is heard as originally intended on the remastered Sgt. Pepper LP. Highly-skilled technicians have worked long and hard to make The Beatles on vinyl sound better than ever. All we need to do is listen to the results of their dedicated labour on the remastered LPs. Handle with care. But most of all, enjoy the music.